Heisman Favorite: Khalil Tate, QB, Arizona. Back in my Mountain West preview, I shared the following statistics: “Seven of the last eight Heisman awards were won by quarterbacks. Those seven averaged 921 rushing yards and 12 rushing TDs in their Heisman winning seasons.” Tate figures to have those totals locked up by Week 8. Darkhorse Heisman Candidate: Bryce Love, RB, Stanford. Love finished second in the Heisman voting in 2017 (losing to QB Baker Mayfield). Despite nagging injuries forcing him to miss snaps, Love still put up astronomical totals: 2,118 yards, 8.1 yards per carry and 19 TDs. According to Stanford’s media guide, Love is now at 196lbs, hopefully he can put on a few more which could help him better absorb the blows of the position. Offensive Player of the Year: Khalil Tate, QB, Arizona. If Tate plays all twelve regular season games in 2018, nobody in the PAC-12 will match his production. He’s an easy, but boring, pick for OPOY. Bonus pick… Ross Bowers, QB, Cal. Bowers is the conference’s leading returning passer in terms of yards per game and has two of the conference’s top four returning receivers alongside. Cal won’t be great but Bowers, if he holds off South Carolina transfer Brandon McIlwain, should find success in his second year at the helm. Defensive Player of the Year: Porter Gustin, LB, USC. I’m going a bit off the beaten path with this one. Gustin is a capable edge rusher who missed most of 2017 with injury. He has 23 tackles for loss and 14 sacks over his career which is solid but not eye-opening. What is eye-opening is his athletic ability; Gustin has potential to be a fast riser up draft boards when fans see him again this season. NFL.com profiled him in a “most freakish athletes” article last season (he returned to the list this offseason). If the measureables quoted are close, we are looking at an athletic profile similar to 5th overall pick Bradley Chubb. If Gustin plays at full health for 13 games he could hit double digit sacks and will be a threat on every snap. He may not be the most valuable player on a dominant Trojan defense but he’ll be the most visible. Newcomers of the Year: Chip Kelly, UCLA and Herm Edwards, Arizona State. The PAC-12 brought in two brand-name coaches in Kelly and Edwards. Fans of both the NFL and the NCAA will recognize their names so they will inevitably draw eyeballs to their teams’ games. I have much more faith in Kelly who has a 46-7 career record as a college head coach. Herm, on the other hand, last coached in the NCAA before all of his players were born (1987-89 as a defensive backs coach at San Jose State). I’d bet that both teams end with losing records; they’ll be interesting storylines but for the wrong reasons. Underclassman to Watch: Stephen Carr, RB, USC. As a true freshman, Carr played second-fiddle to Ronald Jones last season but stood out to me on a number of occasions. The game I remember watching him play most was against Stanford. In that game he totaled 137 yards on 12 touches. I went back and watched the highlights and there were three crucial plays, two runs and one catch. He has a big frame at 6000/210 and I think his speed is deceiving because of his upright running style and long gait. Carr has to prove that he can stay healthy because he just had back surgery and also missed time in 2017 with a foot. Best QB-WR Tandem: Manny Wilkins and N’Keal Harry, Arizona State. Wilkins is embarking on his third season as the Sun Devil starter and looks to continue his upward statistical trend. He threw for 3,270 yards last season which is the highest total for a returning passer in the league. Harry has been starting with Wilkins all along and has a career 140-1,801-13 line to show for it. Harry is one of the highest ranked 2019 receiver prospects so I expect that he’ll continue to make Wilkins look good. Best RB Corps: Stanford. Stanford and UCLA are the only two PAC-12 teams whose top two returning rushers are running backs. UCLA’s backs, Bolu Olorunfunmi and Soso Jamabo, could be valuable in Kelly’s offense but I need to see it before I put them above Bryce Love and Cameron Scarlett. It’s probably not fair to call Scarlett the Robin to Love’s Batman but they do make a good one-two punch. Scarlett ended up getting 91 carries last season, gaining 389 yards and scoring a whopping 8 TDs. I wonder if head coach David Shaw will manage Love’s snaps to keep him healthier down the homestretch. If he does, Scarlett will be a valuable piece in the Cardinal offense. Coach on the Hottest Seat: Herm Edwards, Arizona State. Is it too early to put Herm on the hot seat before his first game with the Sun Devils? Arizona State immediately received some blow back after the appointment and then we heard that some of former coach Todd Graham’s staff was staying on at the suggestion of the school’s administration. I presume the thinking was that Edwards is long removed from coaching, especially at the collegiate level, so he might struggle to put together a contemporary staff. If that was a concern of the ASU brass, maybe they should not have hired Edwards in the first place. Oregon has two things going for it in 2018: a top NFL prospect under center and a soft schedule. Sure, promoted offensive coordinator Mario Cristobal loses RB Royce Freeman to the Broncos but the Ducks have not had trouble in recent memory replacing running backs. QB Justin Herbert is a big prospect, pun intended. I will feature him elsewhere in this preview but it goes without saying that he’ll be the key to Oregon’s ascent in 2018. The non-conference schedule is Downy soft: home games against Bowling Green, Portland State and San Jose State. The Ducks don’t even need to leave Eugene to face Washington or Stanford, their two biggest rivals for the division crown. In their cross-over schedule, Oregon avoided USC this season. It’s all lining up for Cristobal to get to double digit wins and a potential PAC-12 title game. Former Oregon coach Chip Kelly takes over in Los Angeles this season and he’ll have his work cut out for him. ESPN’s Football Power Index and Phil Steele both agree that UCLA faces the toughest schedule in the nation this season. They have conference cross-over games against the top of the PAC-12 North: Washington, Utah and Oregon. Their non-conference schedule is tough too, hosting Cincinnati and Fresno State with a visit to Oklahoma in between. You’d be less concerned about the schedule if Kelly had an experienced quarterback to run his specialized offense. Unfortunately, Josh Rosen has departed (and wouldn’t have been a great fit anyway) and left behind some uncertainty. There are three options on the table for Kelly and I have no idea which one he’ll go with. Wilton Speight transferred in from Michigan where he continually underwhelmed Wolverine fans like myself. Incumbent Devon Modster had a 152.6 rating in limited action last year when Rosen was hurt. True freshman Dorian Thompson-Robinson was a 4-star recruit and the 2nd ranked dual-threat QB in the class according to 247Sports. If I had to guess now, I would predict that Kelly rides with Thompson-Robinson for most of the season after letting either Modster or Speight take the lumps against the Sooners. Khalil Tate, QB, Arizona: If you’re playing college fantasy football, look no further than Khalil Tate as your QB1 and 1.01. Tate took over as the starter in October last year and didn’t look back. He completes passes at a higher rate than you would anticipate given his penchant for running the ball (62.0%). Tate is not a high volume passer (just three games with 20+ attempts and just two games with 200+ yards), instead he derives his value on the ground. He rushed for 1,411 yards and 12 TDs last season. I anticipate he’ll get more touches in 2018 and should hit the 1,500 yard and 15 TD marks. Size-wise he’s similar to Baker Mayfield and Lamar Jackson from the 2017 class. It will be interesting to see Tate’s progression this season and next (I think he’ll need to return for his senior season to prove he can cut it as an NFL-level passer). Myles Gaskin, RB, Washington: Gaskin was an NFL Draft prospect last Winter before deciding to return to the Huskies for his senior year. In my first 2018 mock, I slotted Gaskin into the 3.02 spot and as RB9. I anticipate the 2018 running back class will be a bit lighter than 2017’s so Gaskin has a shot at moving higher in my rankings. When I wrote about Gaskin during bowl season, I acknowledged that my ranking of him was probably a product of an east coast bias because I just don’t get to see him play that often. It’s hard to argue with Gaskin’s production: three straight 1,300+ yard seasons and 45 career rushing TDs. He definitely deserves more of my attention this season. Zack Moss, RB, Utah: I have seen Moss described as a “raging bull” and as “the juggernaut” on Twitter. Both are apt. Moss is a compact yet powerful runner at 5010/210. He seeks contact and can bowl over defensive backs. He rushed for 1,173 and 10 TDs last season and added an impressive 29-243 line as a receiver. Michael Pittman, WR, USC: Pittman was overshadowed last season WRs Deontay Burnett, Tyler Vaughns and Stephen Mitchell. As the fourth option he still managed 23-404-2. Vaughns also returns, so why am I highlighting Pittman? His size. He’s listed at 6040/215 which is tailor made for the NFL. Vaughns is more slight at 6020/185. Pittman was a 4-star recruit himself so he’s no slouch. With over 120 receptions graduated, I expect Pittman to take a big step forward. Something that might go under the radar is his special teams ability which will help him secure an NFL roster spot. He has 13 career tackles and has both blocked and returned punts (including one great trick return for a score). PAC-12 Tight Ends: A PAC-12 tight end will be drafted in the first two rounds of the NFL Draft in 2019. Book it. Just don’t ask me which one. Stanford’s Kaden Smith, UCLA’s Caleb Wilson and Oregon’s Jacob Breeland all have a shot to land near the top of 2019 tight end rankings (and I’m sure there’s somebody I’m missing too). He’s only a sophomore, and coming off injury, but Washington’s Hunter Bryant is one to keep an eye on too for 2020. Trey Adams, OT, Washington: Adams missed much of last season due to an ACL injury but when he was fully healthy in 2016 he was an All-PAC-12 performer and earned 2nd-Team All-American honors from the FWAA. Bleacher Report’s Matt Miller predicted Adams will be a top ten pick in the 2019 draft; the scout he interviewed compared Adams to Taylor Lewan. Phil Steele’s preview magazine lists him as the 4th best draft eligible tackle in the nation. In order to be drafted that high, Adams will need to prove to scouts that he is fully recovered from his ACL injury. 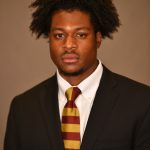 Cameron Smith, LB, USC: Smith has been a starter and a leader on this unit since he was a true freshman. The Trojan defense will be one of the best in the FBS so I anticipate Smith getting a lot of attention. He’s a high volume tackler, 112 in 2017, who can also cover. He has 10 career pass break-ups and 4 INTs. I expect him to have another successful season that will be capped off with being selected on Day Two of the NFL Draft. Marvell Tell, S, USC: It was tough deciding whether I should feature Tell or CB Iman Marshall from the USC secondary. I went with Tell since his profile seems to be on the rise. Tell totaled 85 tackles last season along with 3 INTs. He is the top ranked safety prospect by a number of sources, including DraftScout.com and Phil Steele. Jesse Bates, a second round choice by the Bengals in 2017, would be a good size, speed and production comparison. There are no games available to watch of Tell so instead I watched some of Marshall’s film to get an idea of Tell’s playing style. He’s lanky and while he has a respectable amount of tackles, he does not seem to be as aggressive as I would like. It was a very small sample of plays I watched so I’m not making a judgment call, just making a mental note until I see him live this year. 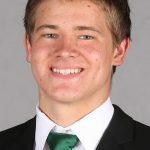 I currently have Justin Herbert as my highest rated quarterback for the 2019 NFL Draft (full disclosure: I have only thoroughly studied about a dozen guys so far and few from the Power 5). Herbert has played eight games in both of his first two seasons at Oregon. In 2016, he took over midseason and ended with 1,936 yards, 19 TDs, 4 INTs and a 63.5% completion percentage. In 2017, Herbert threw less passes but increased his completion percentage to 67.6%; he missed the middle of the season with a broken collarbone. Herbert’s injury concerns date back to high school when he broke his leg as a junior. He does offer a bit on the ground with 344 career rushing yards and 7 TDs. After looking at his stats and injury history it’s tough to justify the placement of Herbert as QB1 but my ranking is more on potential than anything else. 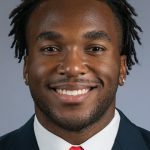 Herbert measures in with elite size at 6060/225 and is projected to run a 4.81 by DraftScout.com. Of the 40 quarterbacks to measure 6050/220 or better and run under a 5.00 at the combine, an incredible 36 were drafted. Seventeen of them were first rounders. Based purely on his size and athleticism, Herbert is as safe a bet as any to be a first rounder. Luckily, his measureables are borne out on film. When I watch Herbert, I see a quarterback with above average speed and athleticism for his size and position. He throws well on the run compared to others I have watched thus far this offseason. It’s a great trait for somebody who runs the zone read and plays off play-action so often. I noted average arm strength so I would like to see that improve this season. His accuracy is best in the mid-range passing game but is serviceable short and deep as well. Like many QBs at this stage of their career, Herbert needs to work on his footwork and mechanics. He showed me positive field and situational awareness and he utilizes an effective pump fake. Of all the players I have previewed this offseason, Bryce Love likely has the most recognizable name to casual fans. That acclaim is thanks to Love’s second place Heisman finish in 2017. He totaled 2,118 yards rushing and 19 TDs last season on his way to All-American and PAC-12 Offensive Player of the Year honors. Perhaps most impressive was Love’s yards per carry: 8.1 over 263 carries. If you’re studying Love’s stats and game logs, you will notice that he is not a part of the passing game (just 6 receptions last year). Love’s height is perfect for a running back (5100) but he needs to bulk up in order to be a top NFL prospect at the position. Over the last two seasons, just nine backs were 5090-5100 and weighed between 190-205lbs. Two of them were drafted (former teammate Christian McCaffrey and Miami’s Mark Walton) but they were both just over 200lbs; none of those under 200lbs in that cohort were drafted. As I mentioned above, Love battled nagging injuries last season, perhaps a function of his frame, and missed snaps in multiple games. Nobody can question Love’s toughness however, despite reportedly having a high ankle sprain, he managed to play through and only missed one game. I saw Love play a number of times in 2017 but I was eager to dive in and watch some film to jog my memory of his strengths and weaknesses. Love’s big play ability jumps off the screen immediately, accentuated by his 4.40 speed. He is a nuanced runner who exhibits numerous skill moves to make defenders miss (i.e. spin move, hurdle and stiff arm). Love also utilizes devastating cutting ability, oftentimes multiple times on the same play, to leave defenders grasping at air. He has very good patience at the line of scrimmage as he squares his shoulder to the line and stutter steps as he identifies which hole to hit. Love runs stronger than you would expect based on measureables. He’s a tough runner who takes a lot of contact. He can get stood up by bigger defenders but he’s sometimes able to spin out of the tackle rather than bowl over the defender. As I alluded to above, Love is not a passing game feature. In the two games I re-watched he had just one catch and it was on a shovel pass. I tenuously have Love down as an average pass blocker. Unfortunately his size means there were multiple plays where he was pushed back into the passer. Just like when he runs the ball, he does not shy away from contact so it’s not a matter of want-to. Harry landed on my radar about a year ago, after his freshman season, when I was doing some devy research and came across his name. I didn’t get a chance to watch him live at all in 2017 but I had filed away his name waiting for the right time to profile him. He has prototypical #1 receiver size at 6040/216 and is projected to run in the 4.50 range (think: AJ Green). He had a successful freshman season in 2016, ending with a 58-659-5 line. In 2017, he improved to 82 receptions, 1,142 yards and 8 TDs. As good as the numbers are and as big as the hype is, I was not as blown away by his tape as I had expected to be. There’s no doubt that Harry exhibits a few elite skills. First off, he has some of the best body control and sideline awareness of any receiver I have studied in the last two years. He routinely makes toe-tapping sideline catches. Harry also shows great concentration when making contested catches. Even with a defender draped over his shoulders and a hand in his line of sight he is able to find the ball and hang on with his strong hands. He is often physical at the top of his vertical route stem, utilizing his size to gain separation from smaller DBs. Unfortunately, in the two games I watched, Harry did not run a variety of routes; I would say that half of his routes were screens and another chunk were simple curls or comebacks. I do have some concern about his speed – I’m thinking he’s in the 4.55 range – because he looked slower than I anticipated. Although, I must admit he showed good burst on a few individual plays. He’s fine when he gets to top gear but I did not note too many occasions where his speed afforded him a good release off the line. At this point in his career, Harry appears to be a below average blocker. He shows okay form on a number of attempts but there are numerous whiffs and disinterest as well. Despite the negatives that I noticed, Harry has the ability to make you forget all of that with one spectacular play. When watching the UCLA game I was ready to bump him down my rankings until he took over a drive late in the game. On the first play, he makes a great high-pointed hands catch and manages to keep his feet in bounds, all while maintaining control to the ground. On the second play, he takes an outside release into double coverage and makes a great concentration catch. Not too many players in the NFL could have made both catches, let alone in the FBS.